Malawi is a small landlocked country in sub-Saharan Africa. According to the Human Development Index, Malawi is ranked 173 out of 187 and is considered a low-income country. Food insecurity is the primary reason for poverty in Malawi. The country is small but overpopulated, which has left the land barren. There have been several reports about malnutrition and stunted growth among children below the age of five. Chronic poverty and underdevelopment has also forced children to drop out of primary schools because of tuition and transportation costs. Food insecurity is compounded by the influx of refugees from neighboring countries. 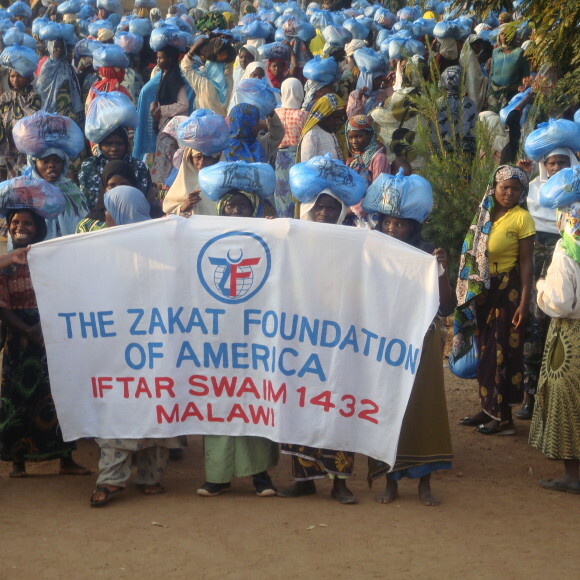 In Malawi, Zakat Foundation of America has distributed food gifts during the Ramadan and Udhiya/Qurbani seasons.